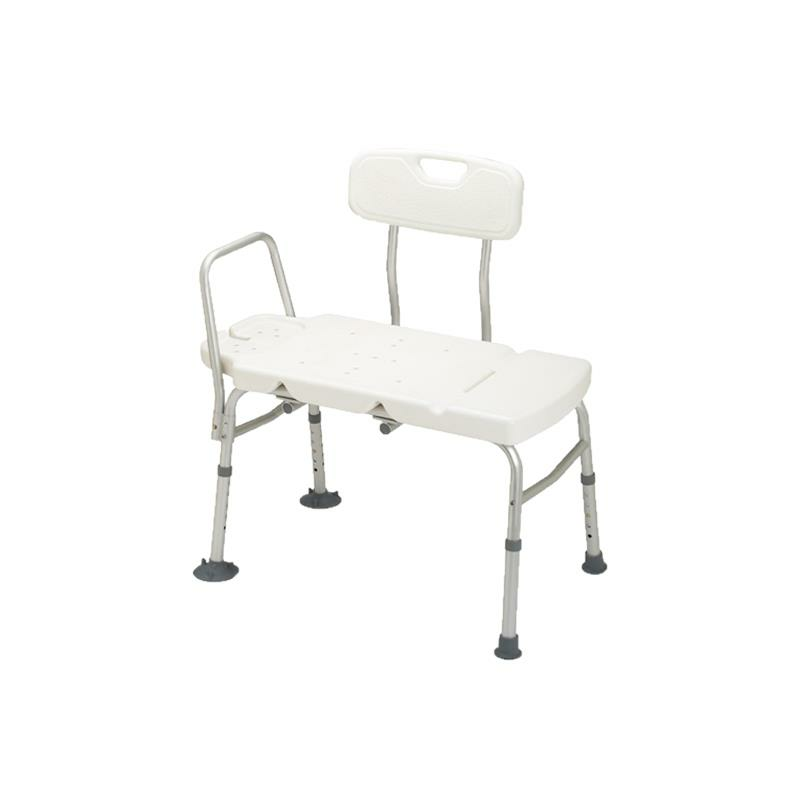 Guardian Non Padded Aluminum Transfer Bench safely provides assistance to those who have difficulty stepping over bath tub walls. Textured, molded backrest and seating surface offer a non-slip surface with holes for water drainage. Lightweight, anodized aluminum frame is height adjustable in half inch increments. It also comes with side arm and seat back handle that provide extra stability and leverage when transferring.